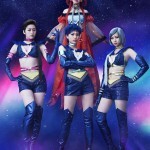 Fans of Sailor Moon musicals who aren’t able to make yearly trips to Japan will be happy to hear that they may be able to head to their local movie theatre to see the latest musical! 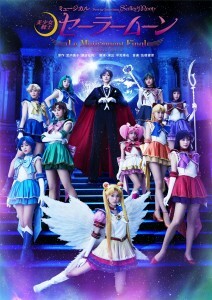 Indeed Sailor Moon Le Mouvement Final has already been playing in some US theatres since March 10th. Many locations have more showings of the musical coming up including some tonight. 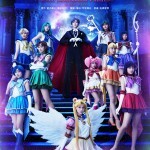 Visit the sailormoonlive.com web site for a full list of participating theatres in North America to see if yours is having a showing! The “film” will be showing here in Canada at Cineplex theatres. 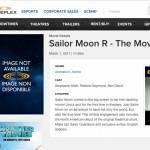 The Cineplex site has showing starting on Wednesday April 4th. 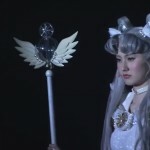 Links for individual Canadian theatres on the sailormoonlive.com site redirect to that page. 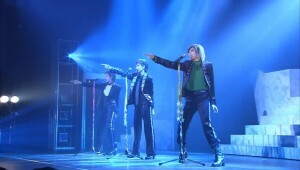 The presentation is a filmed version of the stage musical. Showings are in Japanese with English subtitles. Have any of you had a chance to attend any of the showings which have already taken place? Will any of you be attending showings in your city? Fans interested in a Japanese copy of the DVD release of this musical can order it now as it was released today, March 14th. 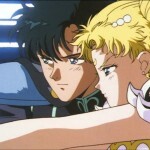 This entry was posted in Sailor Moon Musicals and tagged Cineplex, Le Mouvement Final by Adam. Bookmark the permalink. I’ve never watched a SM musical, but I’m very interested in going to the nearest theater to watch this. Is this a decent place to start for me? To be honest, as someone who loves musicals and Sailor Moon, I can’t get into these. Some of the music is fine, especially in the older ones. (Golden Queen Galaxia!!!) but the rest is not my cup of tea. I haven’t seen this one, so I can’t judge it on it’s own. It covers the stars arc and though it technically follows the 4 musicals that came before it you won’t be lost if you’re familiar with the manga storyline. 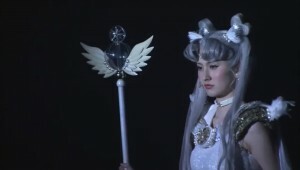 The only real thing you might not appreciate is that Cosmos is played by an actress who previously played Sailor Moon. Okay, I’m going to stop replying to these comments on my phone, because those messages seem to get cut off if I go beyond a single line. Looks like I’ll be stickin’ to good ol’ computers for responding to these articles! Will the DVD have subtitles? No the DVDs generally don’t have subtitles. We can hope it gets an American release since it was shown in the USA and Canada. Perhaps! The musicals are so ignored in the west and to go from that to a showing in theatres is a huge step. It might depends on the success of the showings. Did anyone know that Saturday is St. Patrick’s Day? Sailor Mars says: You better wear green or I’m gonna pinch you Usagi!!! This is so exciting!! I’ve never seen a Sailor Moon musical and now one is playing at the theater right near my house! I’m going to have to get one of my buddies to come out and see it with me! Thank you for posting information about this very special screening event!! Ahh!! I’m too excited now! Just came back from ‘my’ screening! It was my first SM Musical, as well. How was yours? So glad I went to see it. I ended up enjoying it MUCH more than I thought I would.